Last week was a really exciting one for us both creatively and culturally. 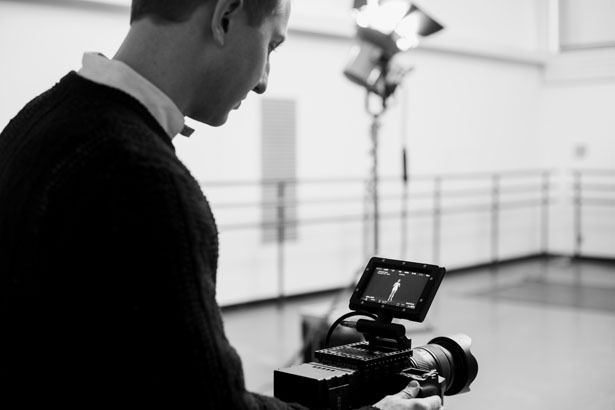 The past month we have been working feverishly on a series of cinemagraphs we made with the School of American Ballet we shot back in February. 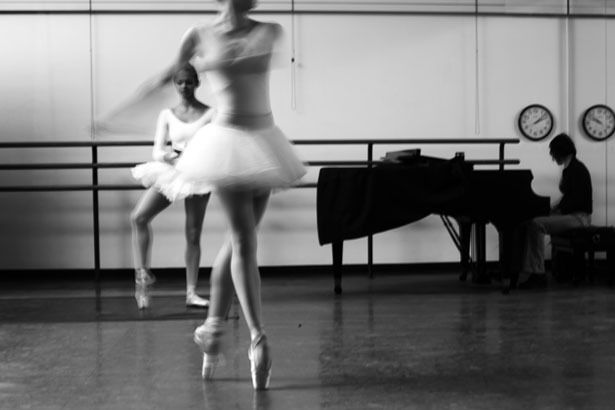 It’s always been a dream of mine to shoot ballerinas as I so admire their lines, pose, discipline and beauty of dance. 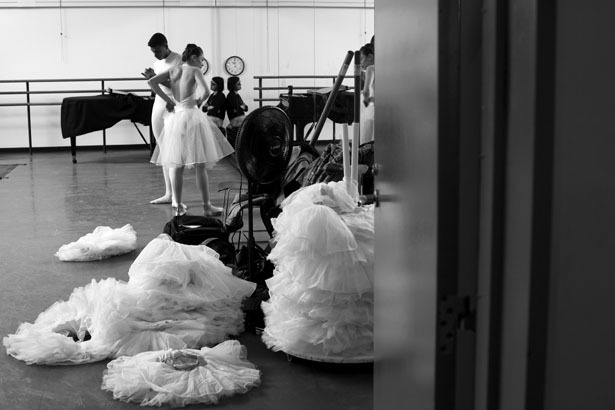 As you saw, the cinemagraphs were displayed in the David H. Koch theater of Lincoln Center’s Metropolitan Opera House. These cinemagraph portraits showed the art of ballet caught at it’s best eternally. The perfect pose, spin, point, there to study and be inspired by its beauty. 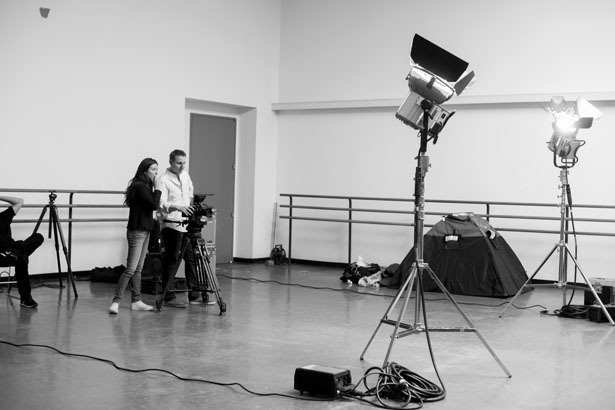 In addition to the cinemagraphs, on this day we also shot the staged dance sequences for the video. Just to give you some behind the scenes at SAB’s shoot, we kept the setup pretty simple. 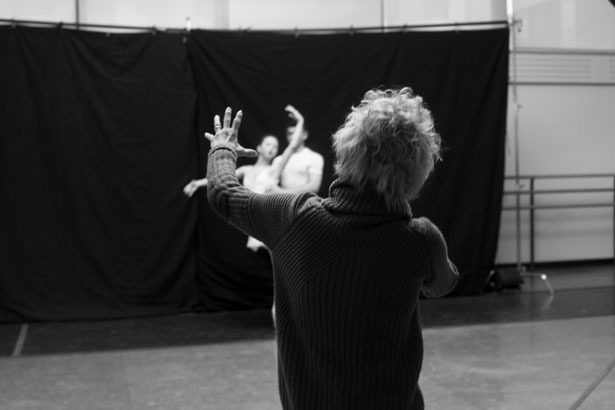 The inspiration was based on Eadweard Muybridge’s studies in motion from the history of photography. 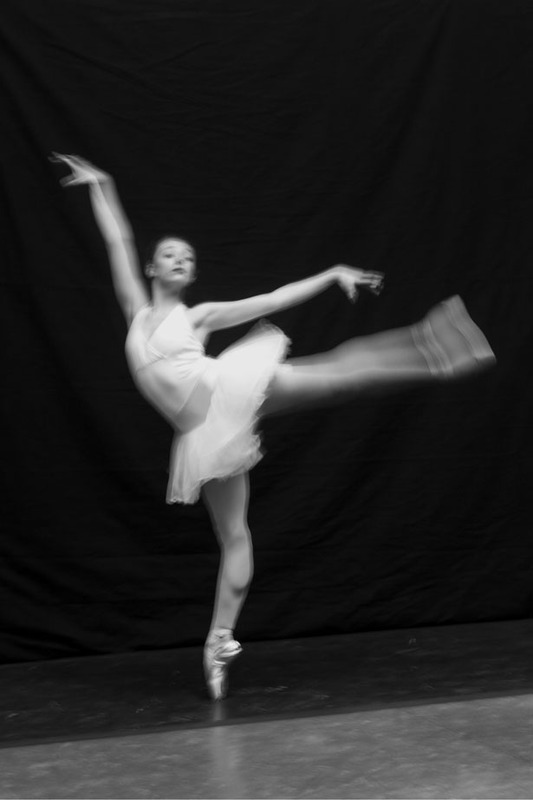 We wanted to study the ballerina, the form, the movement and motion. We decided to put them on two 12×12 Solid black backdrops and asked the dancers to wear all white. With two large Arri M18 HMI lights we pointed up bouncing the light off the white ceiling illuminating the dancers from above going for an effect of a large skylight for a classic and natural feeling. After tapping down a black rubber floor, the stage was set. 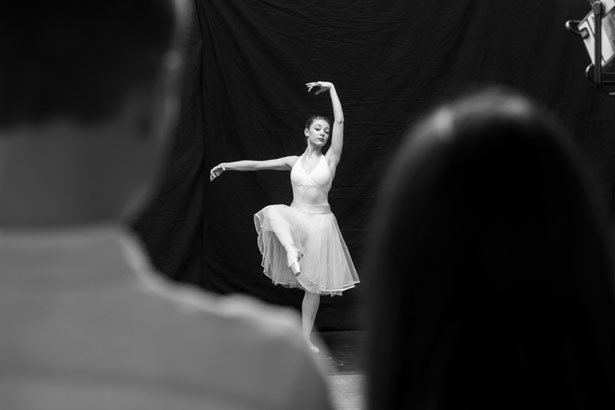 We shot six of SAB’s students in one of their dance studios at Lincoln Center. One of the great things about SAB is how they use live piano players, which we had for our shoot, and hire the most passionate teachers. On this day we worked closely with Suki Schorer who directed the dancers throughout the shoot and tweaked their hands or feet positions with every shot. 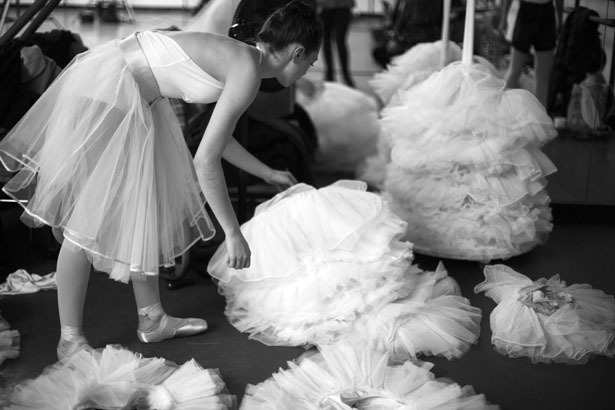 It was such a joy to create around a thing of incredible beauty like in ballet. After every dance sequence I would applaud and smile from sheer joy… until Suki told me to stop clapping because that tells the piano player to stop playing and nobody wants that.